Come and join us for our Parish Weekend. 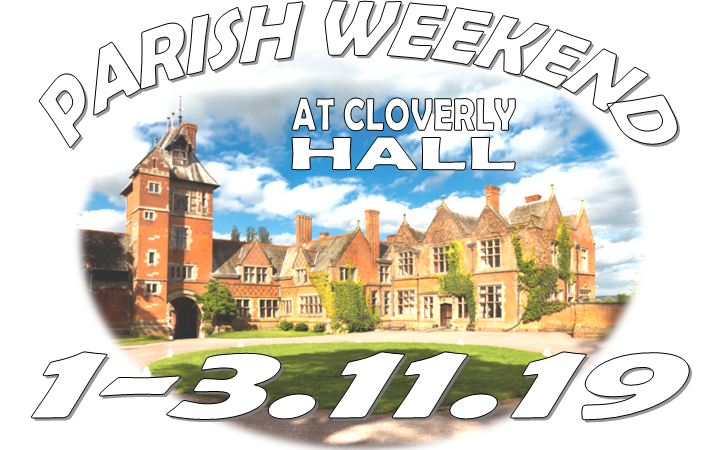 1-3 November 2019 at Cloverly Hall, Nr. Whitchurch. Beginning on Friday evening with a meal and ending after lunch on Sunday. The cost per adult will be around £150 per person. An easy payment plan is available to those who wish to pay this way. A weekend of fun and fellowship, open to the church family. Youth and Children welcome. There is a reduced rate for children. A deposit of £50 per person is required to secure the booking by the end of February.